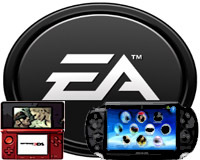 EA Games president Frank Gibeau said that he personally think that the PlayStation Vita has more chance of success than it's main rival the 3DS. Gibeau said he reckons Sony’s new pocket brick handheld is likely to be successful due to its combination of innovative control mechanics, multiple social connectivity options and meaty software line-up. "I think that part of the videogame business is tough right now because they have had some significant competition come in that was totally disruptive, and that was the smartphone," he said. "You can't ring them up by putting the device up to your ear but in general I think they've got most of the capabilities that you'd find in a smart phone, with some unique capabilities that make them stand out." "I don't think they're quite in the same boat as the 3DS... the 3DS was a really interesting piece of technology but I think there was some confusion over it and the title slate was a little different," offered Gibeau. "I think Vita has a better chance because it has a stronger title slate at launch. PSP's had a great run in Europe as a device, it seems to have reached a much larger audience here than it did in North America. So I think they've got a good shot. We're going to publish a few games on it and see how it develops." Hopefully these words shall encourage more developers to begin working on titles for the PS VITA, also EA is also confirmed to be working on several PS VITA games. Be sure to check our site often for your PS VITA needs, and join the forum to have a chance of becoming a MOD. So do you agree? comment below with what you think will be the best selling portable system!